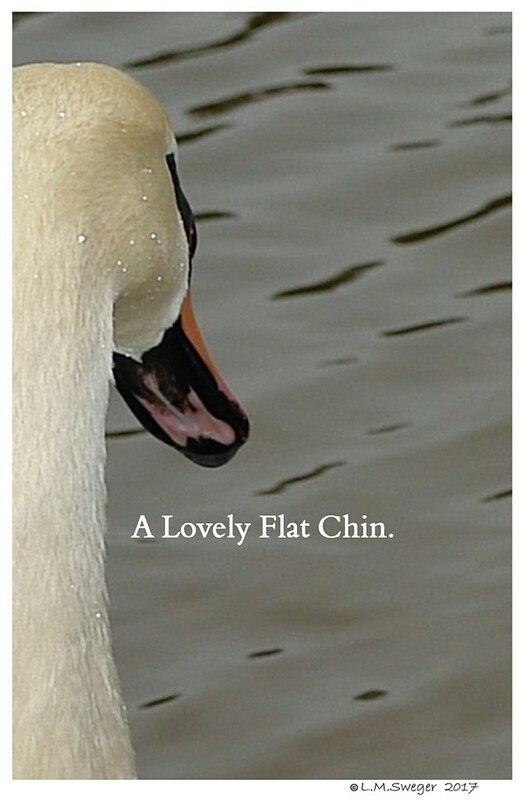 When a SWAN Has a Lump/Bump Under their Chin.. 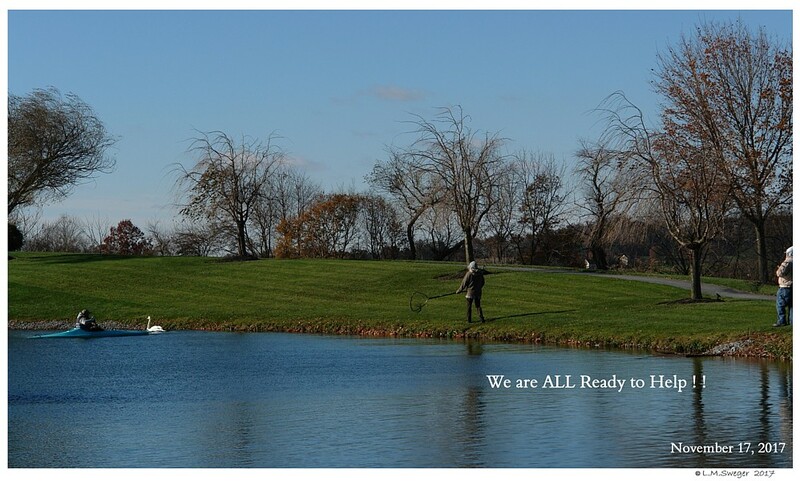 This CAN be more Serious then You Might Think. 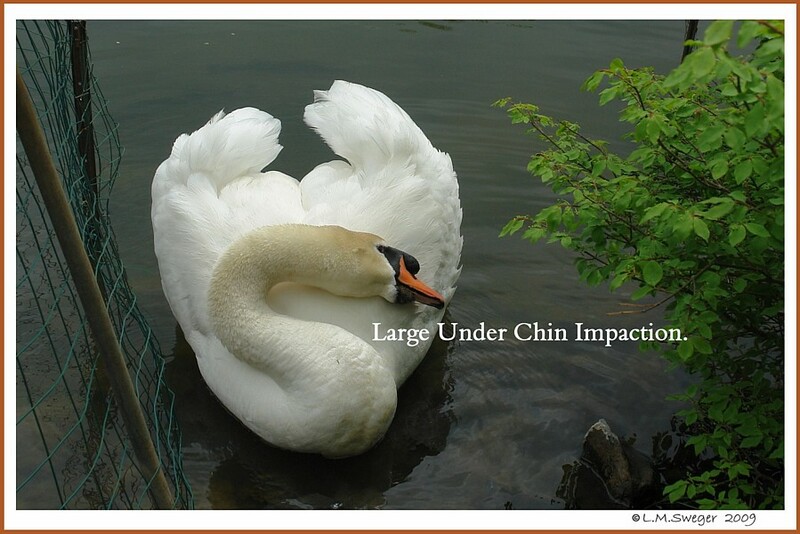 Bulge Visible Externally, Under the Chin. Under the Tongue in the Stretchy Chin Pouch. 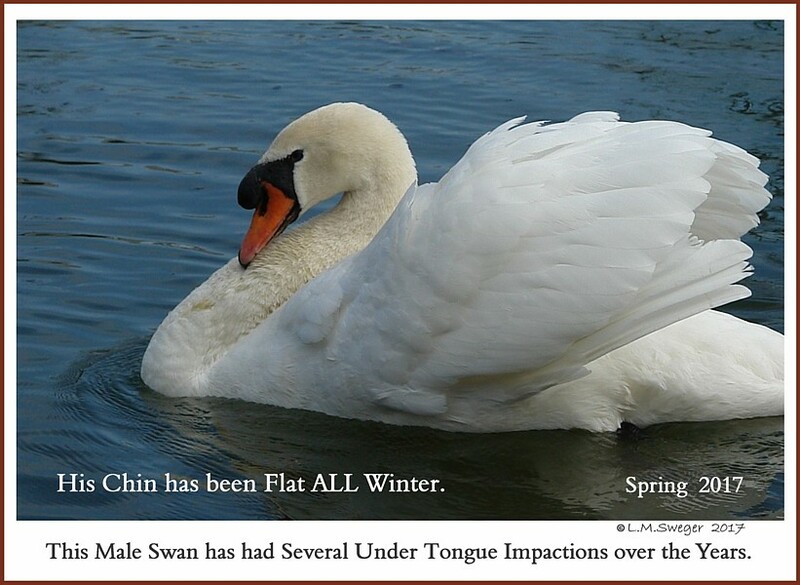 When a Bulge or Protruding Lump is Observed under a Swan’s Chin… it NEEDs Attention. 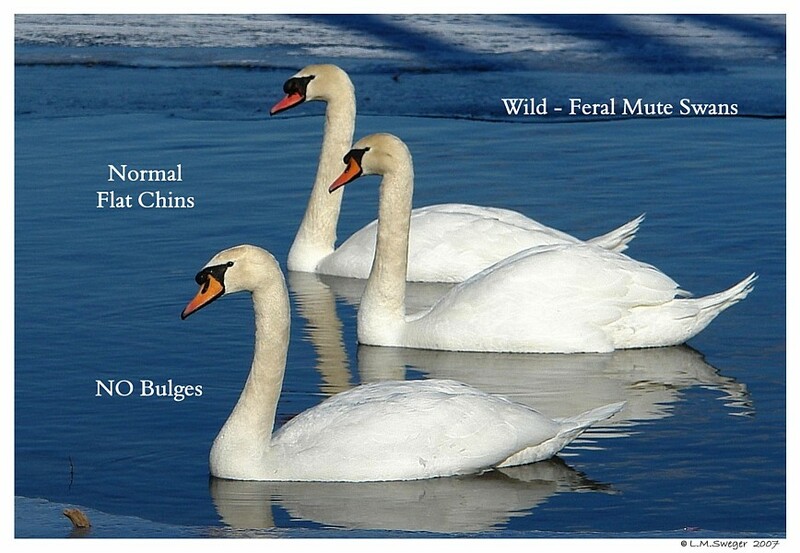 As we have been out and about Visiting with Swans and their Owners, we have observed several Swans with these Bulges under their Chins. 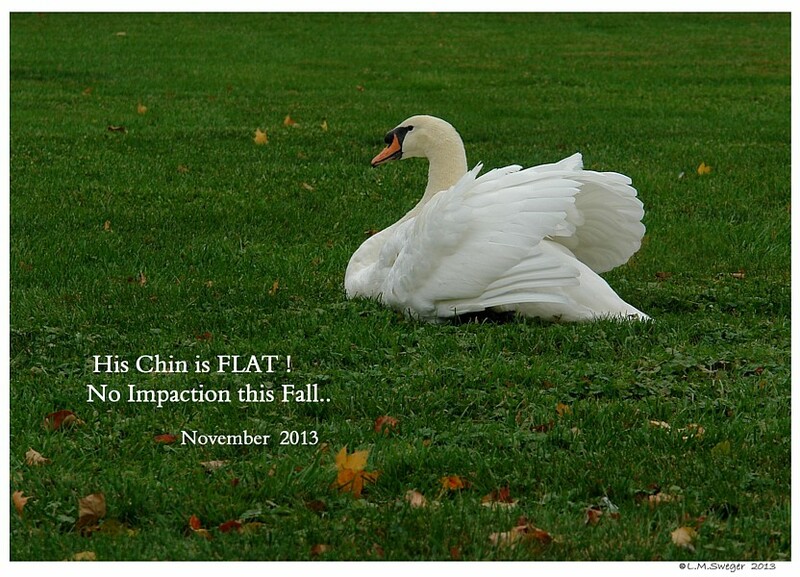 Some of the Swan Owners thought this was a Tumor..
and there was nothing they would be able to do.. 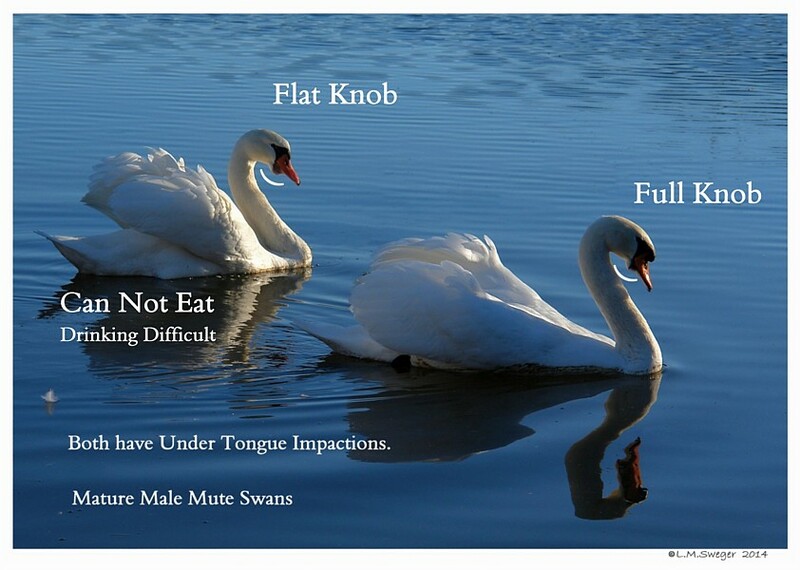 Some Swans are prone to this and it becomes a Chronic Problem for them. 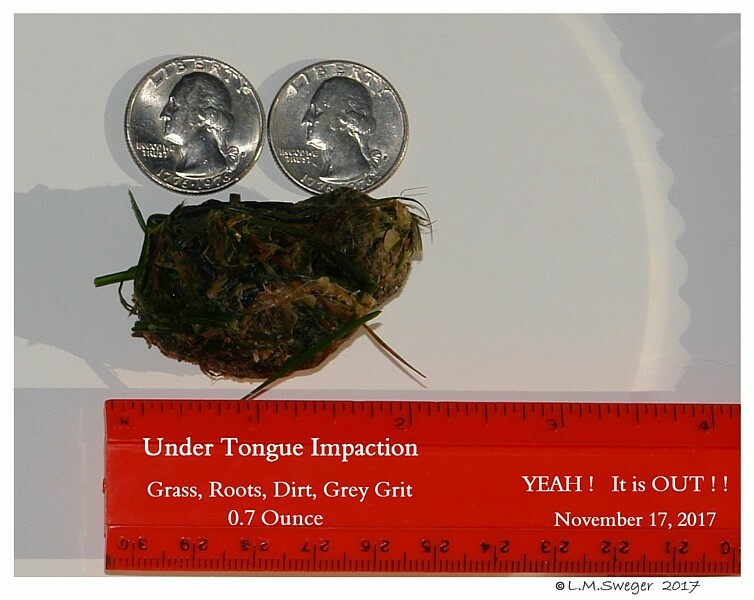 Ingesting DRY Fibrous Foods may be a Major Predisposing Factor for Sublinqual Impactions to Form. 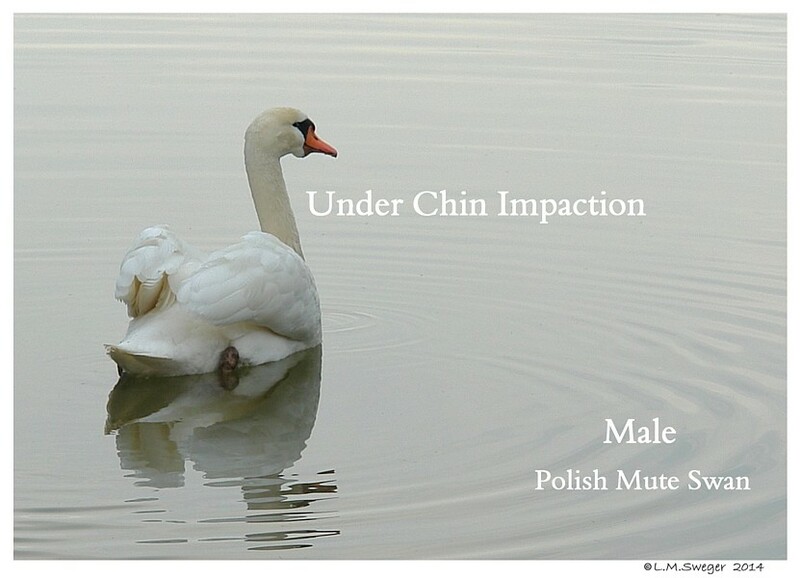 If you Remove the “Wad” of Material when the Bulge under the Chin is Small, the Skin will not Stretch into a Loose Pouch under the Chin. 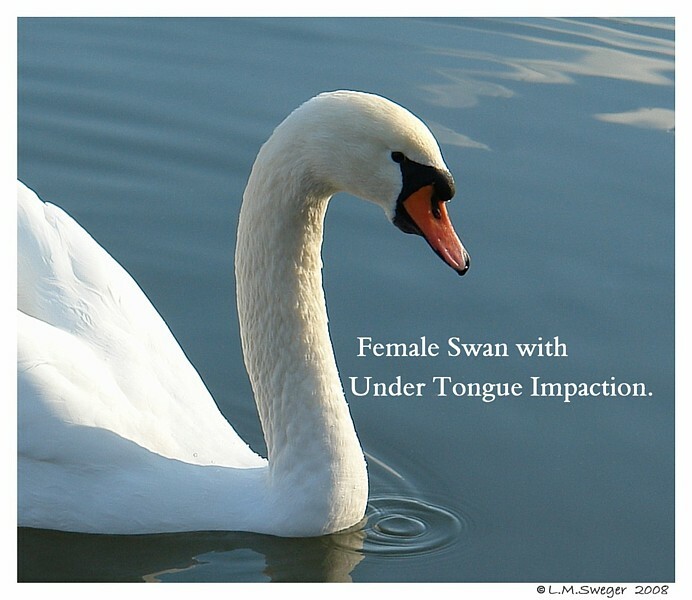 Under Tongue Impactions may occur in both Captive and Wild Swans.. 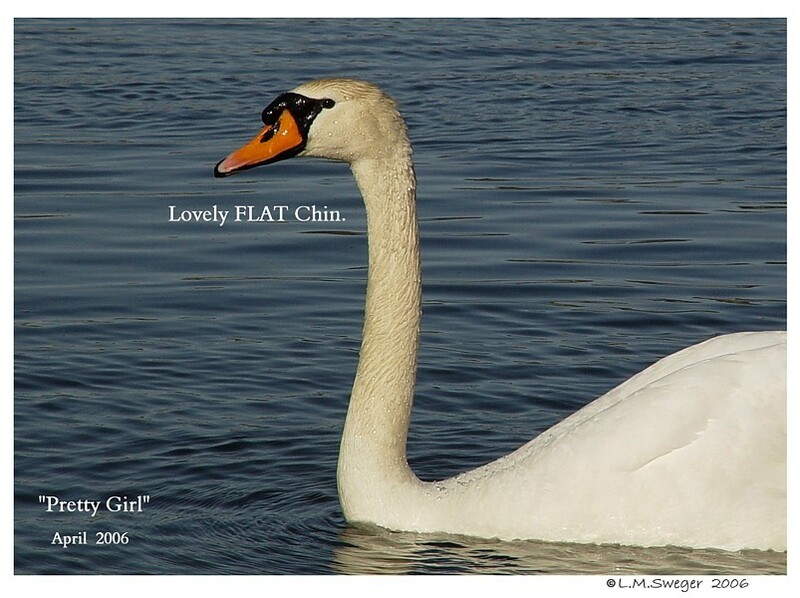 This is easily Visible… A Bulging Pocket under the Chin. 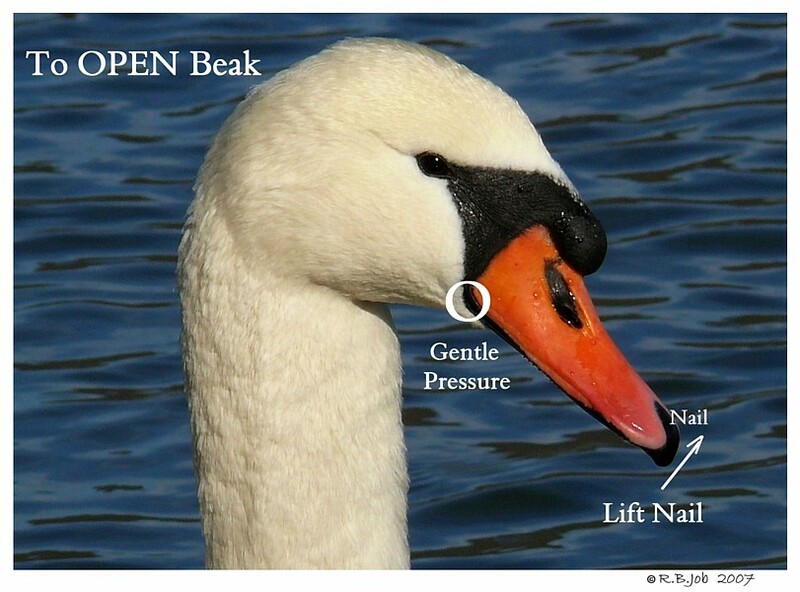 Some Breeds of Geese with Dewlap are also prone to Impactions. 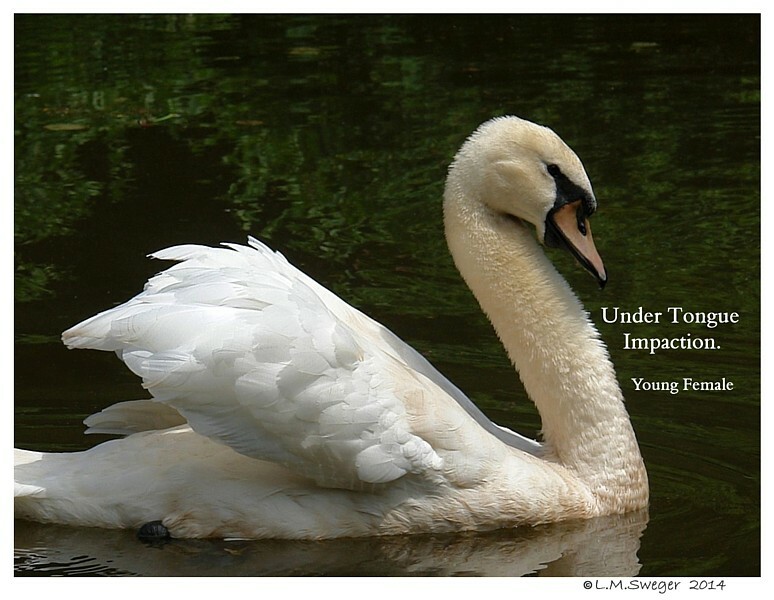 I have observed some Swans swinging their heads, trying to get this material out.. 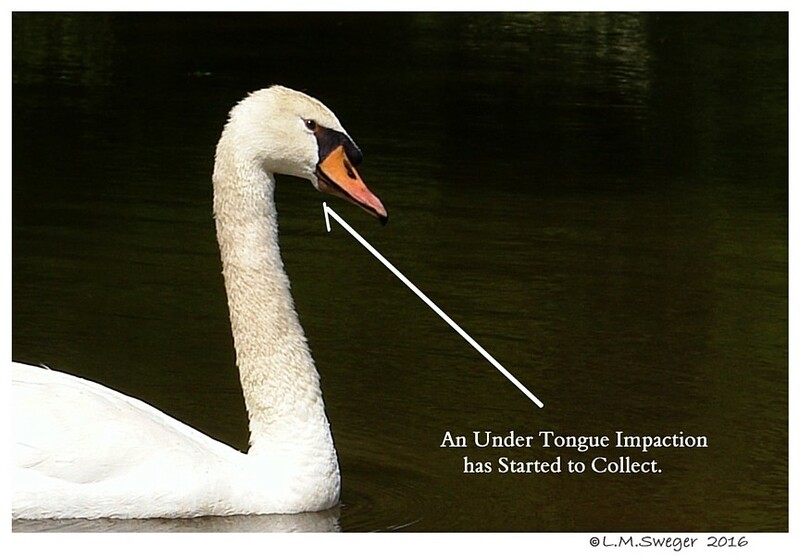 There is likely a WAD of material under the Tongue.. an Impaction. 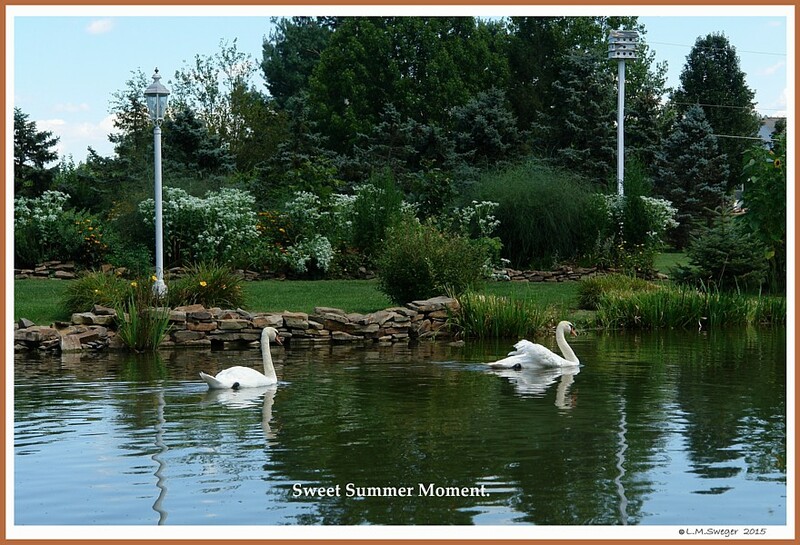 The “STUFF” can be Lots of things found in your Swans World. 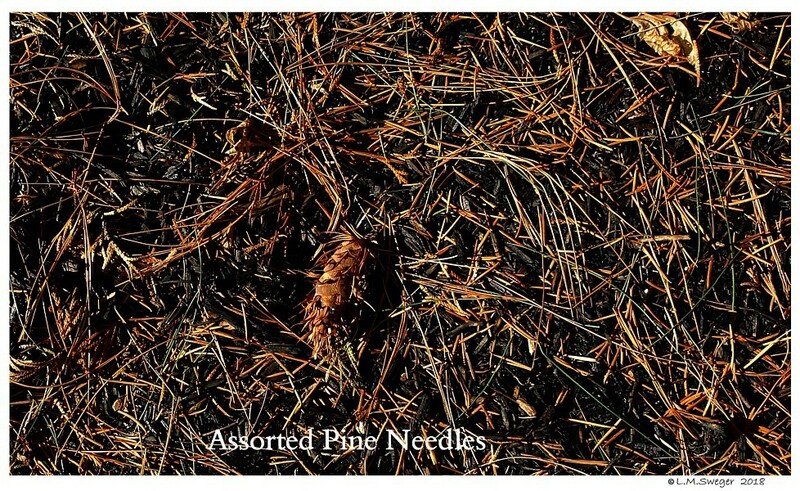 Stiff Floating Pine Needles, etc, etc, etc. 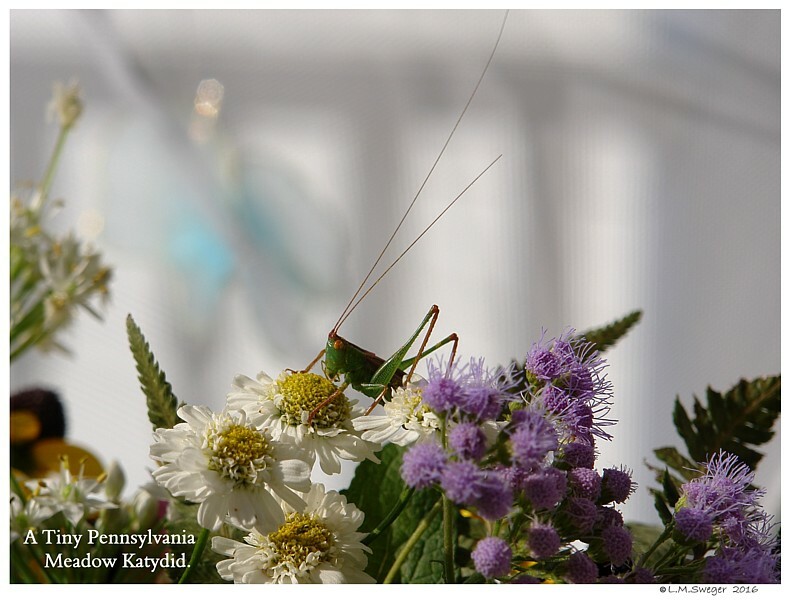 Almost Anything. 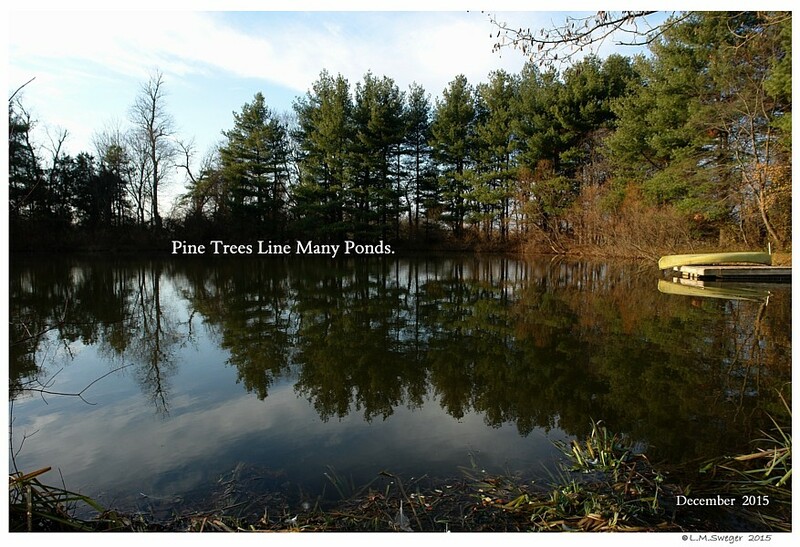 Many Ponds and Lakes are Lined with Pine Trees. 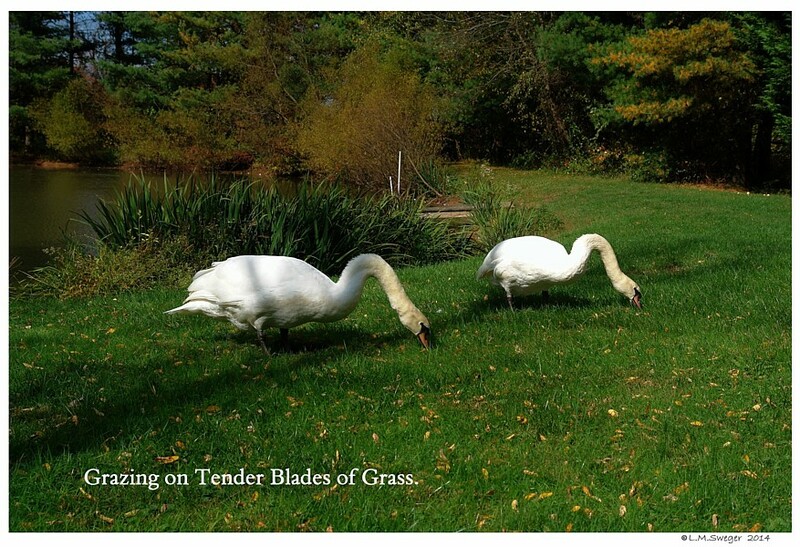 There seems to be an increased incidence of this when Swans are eating Feed, Plant Material, Grasses and Soil without Water. 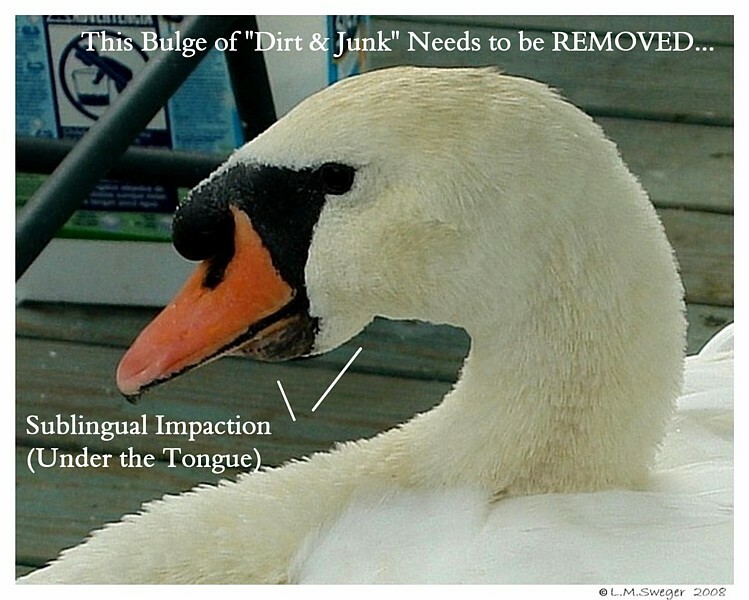 This “Plug of Junk” under the Tongue can result in increasing difficulty Eating and Drinking. And Eventually Pressure Necrosis. 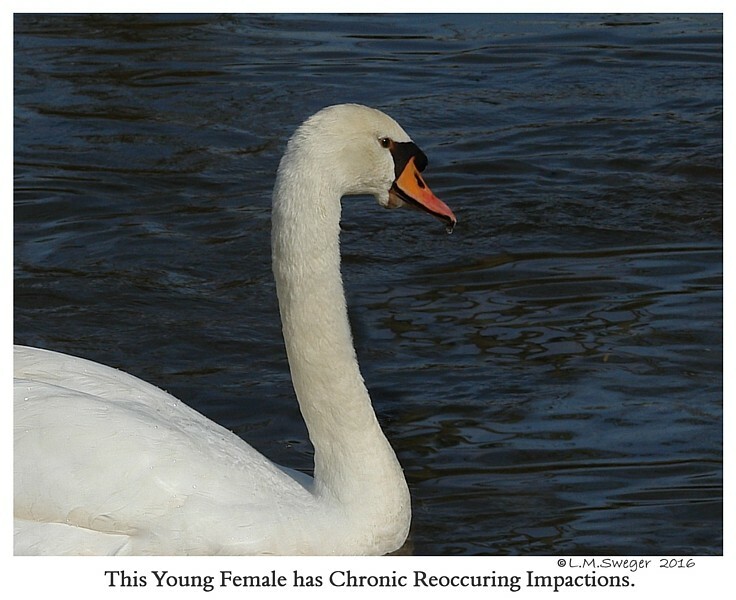 Intermandibular Swelling and Chronic to Severe Impactions. 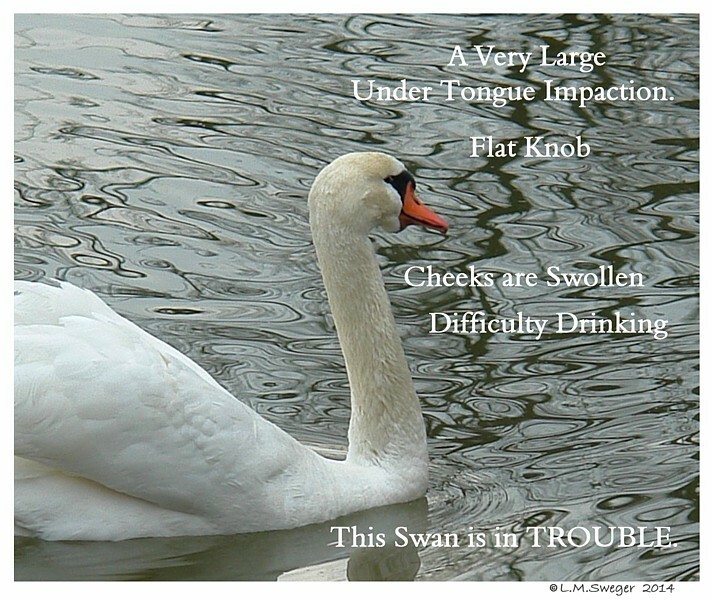 The Swan below has the Severe Signs.. His Cheeks are Swollen. 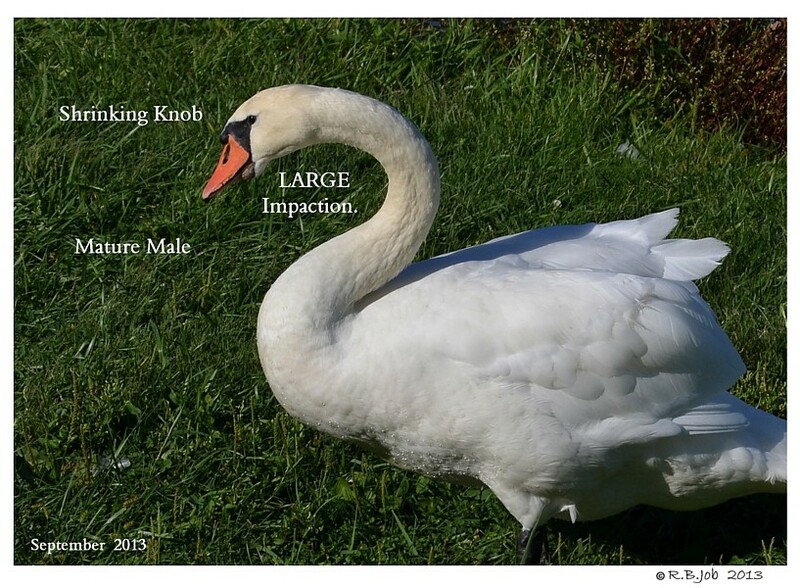 One Sign the Swan is in TROUBLE is when a Mature Mute Swan has a Flat Knob. 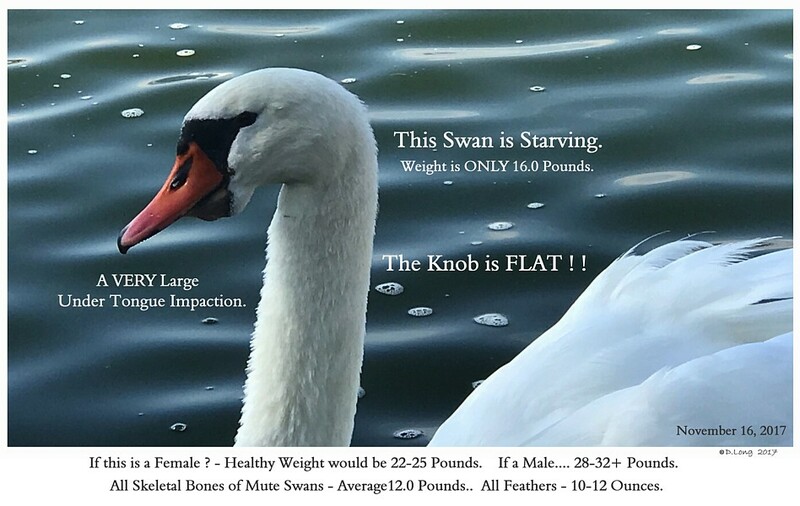 This is a Visual Sign that the Swan is Under Weight.. 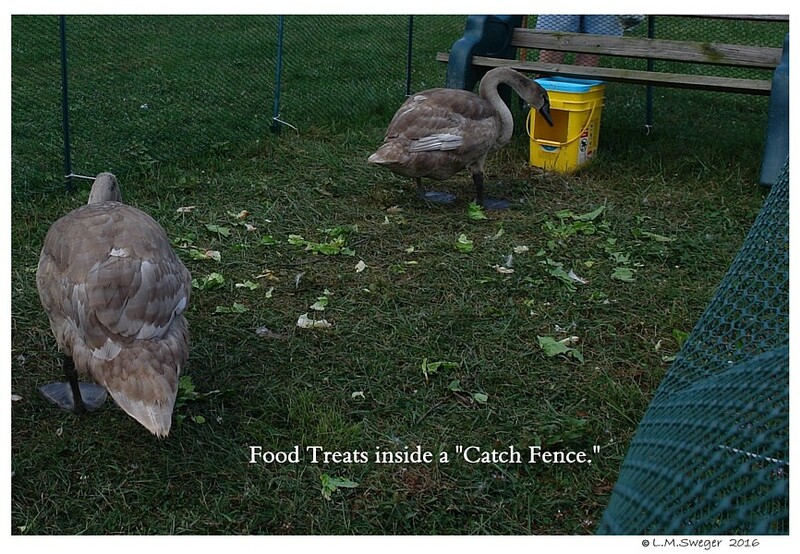 It is having difficulty Eating. 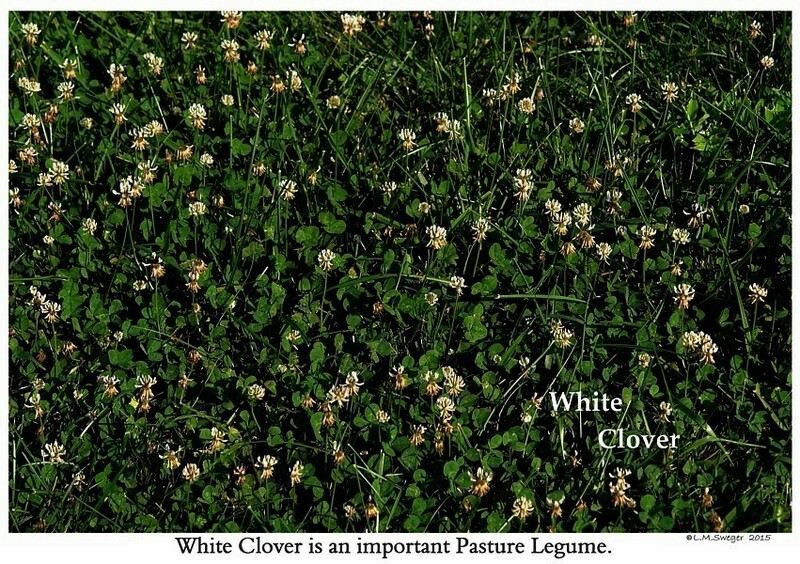 The Impaction below is a Collection of Roots, Mud, Small Stones, Grass Blades and a few Clover Stems. You can not see the SMELL. 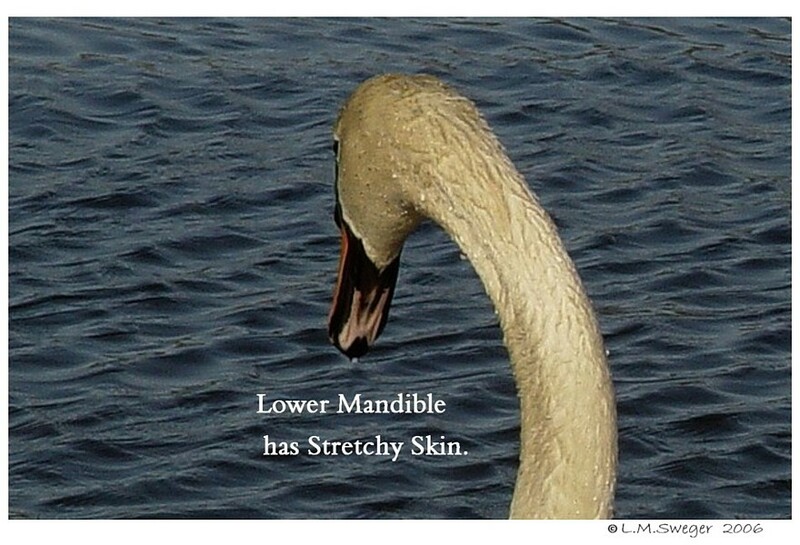 This Lodged Material will slowly Ferment, ROT, Support Nasty Bacteria and the Poor Swan will have this Smelly Material Squishing in its Mouth/Beak each time it tries to Eat or Drink.. YUCK !! 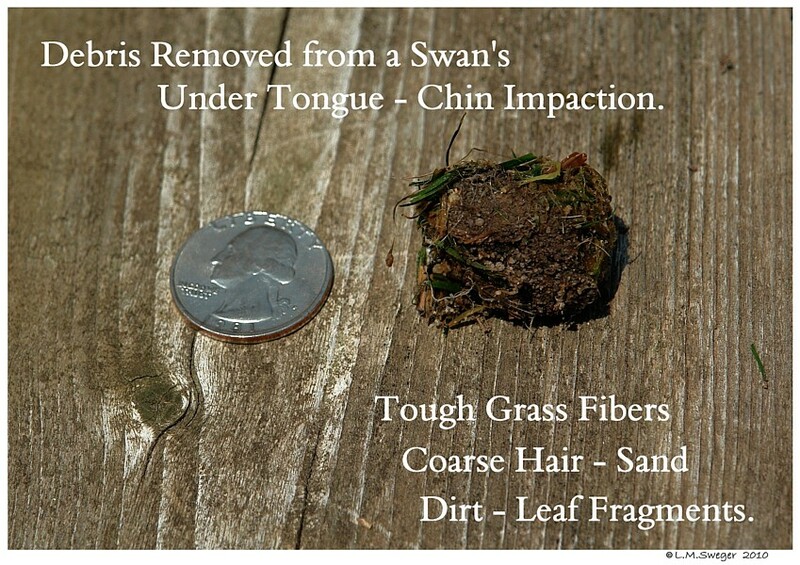 Over Time the Rotting Material may break-down and Invade the underside of the Tongue or the Chin Tissues. 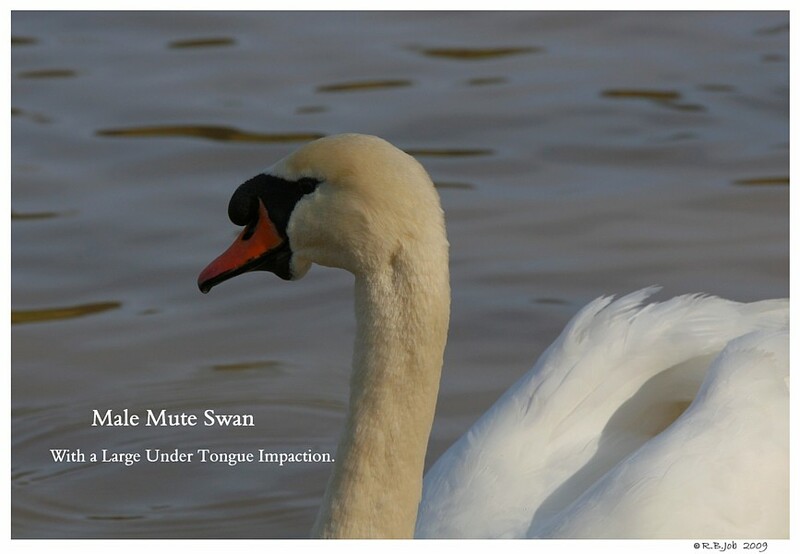 This will Result in an infection of the Mouth Tissues.. causing Tissue Pressure Necrosis. 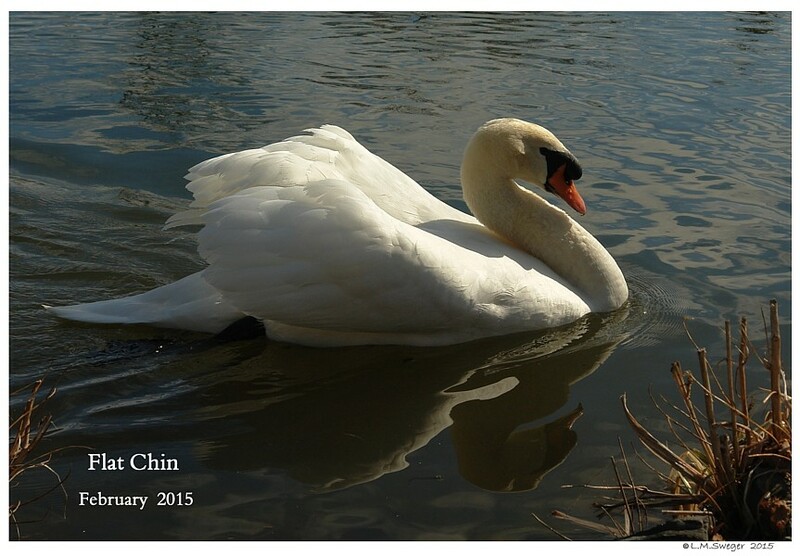 At this stage the Swans will definitely need Veterinary Help.. likely Surgery.. 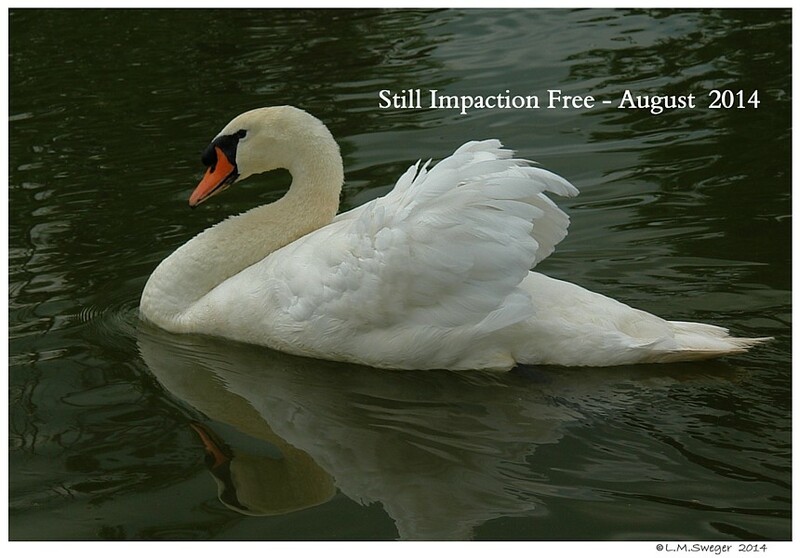 Weeks of Recovery with Antibiotics. 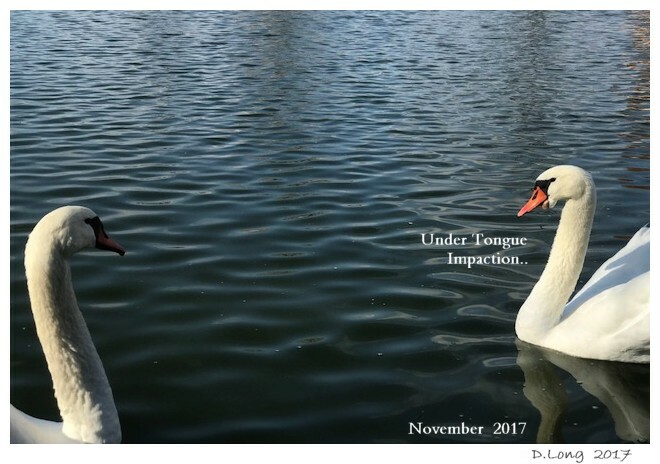 DO YOUR BEST to Remove these Impactions when you see them and whenever it reoccurs to reduce Risk of Permanent Dilatation under the Tongue. If the Impaction is left, or frequently reoccurs, Surgery may be needed to remove the Loose Stretch Skin that fills with Debris easily. 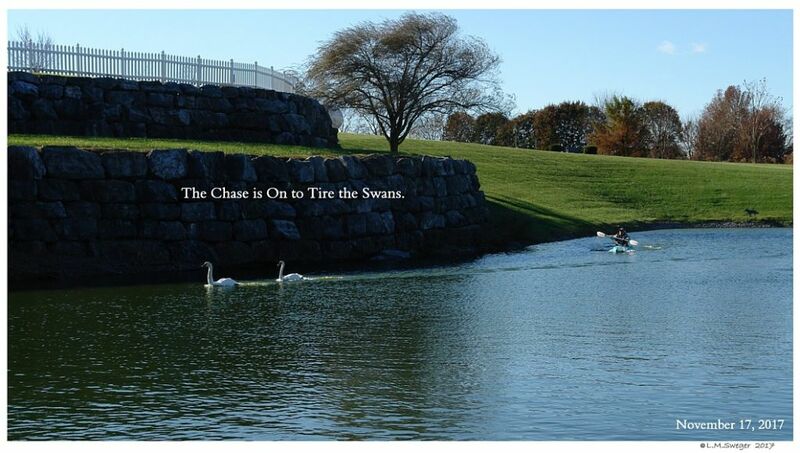 The BIGGEST most Challenging thing you need to do is Catch the Swan. 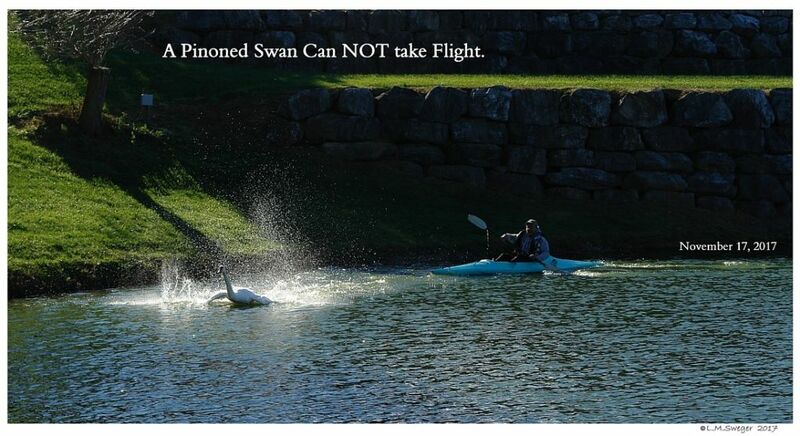 If you can Walk your Swan into a Fenced Area and/or Catch/Net the Swan on Land.. that is the Easiest for EVERYOne..
Catching a Swan on Water is the Most Challenging. 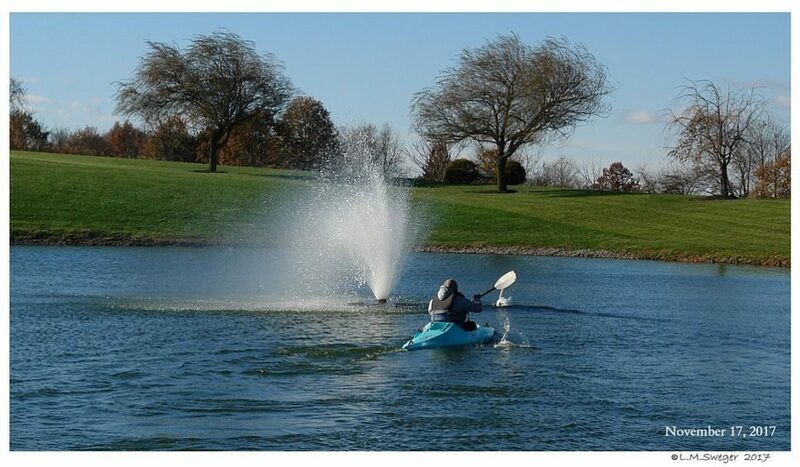 Be Sure You Follow Proper Safety Rules.. LIFE Jackets. 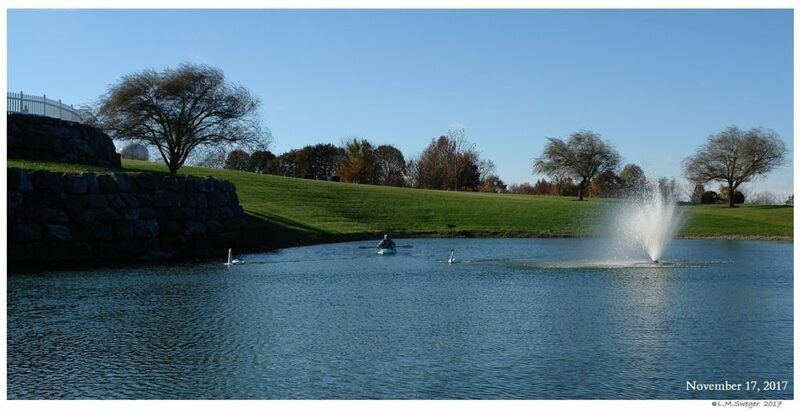 One or Two People in Quick moving Kayaks HELPS! 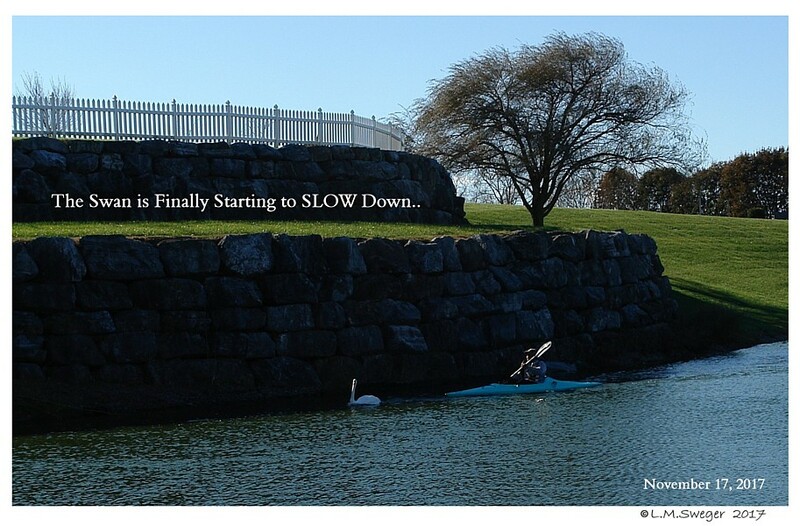 Canoes and Row Boats are TOO Slow to Tire the Swans. 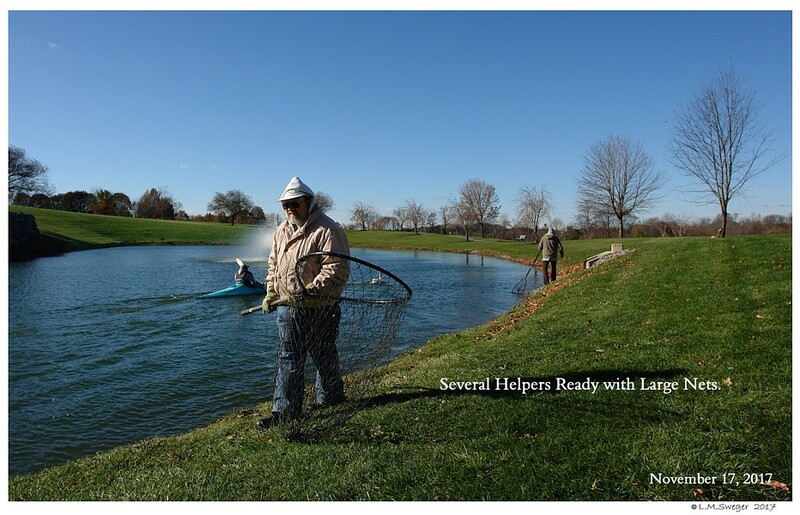 Several Helpers Ready to Net and Calm to Swan..
One to hold the Swan and Another to Remove the Impacted Material. 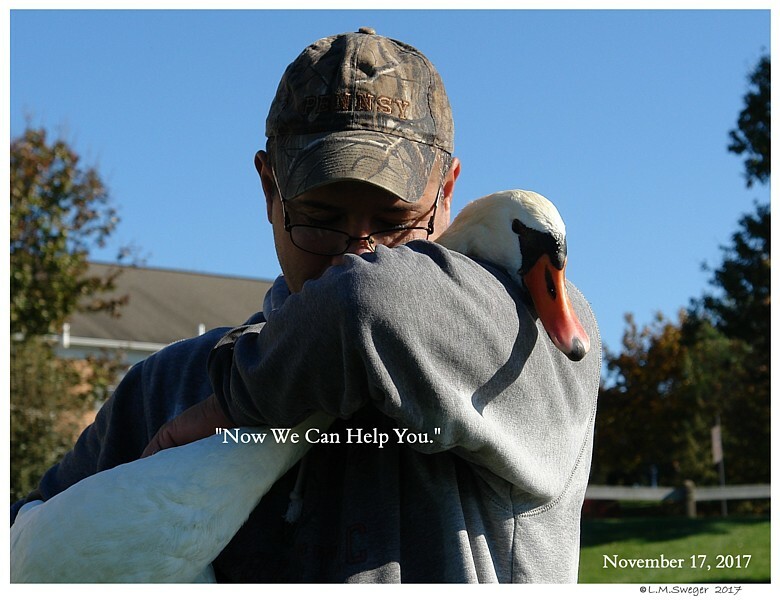 It is EASY Once You have Hold of Your Swan. 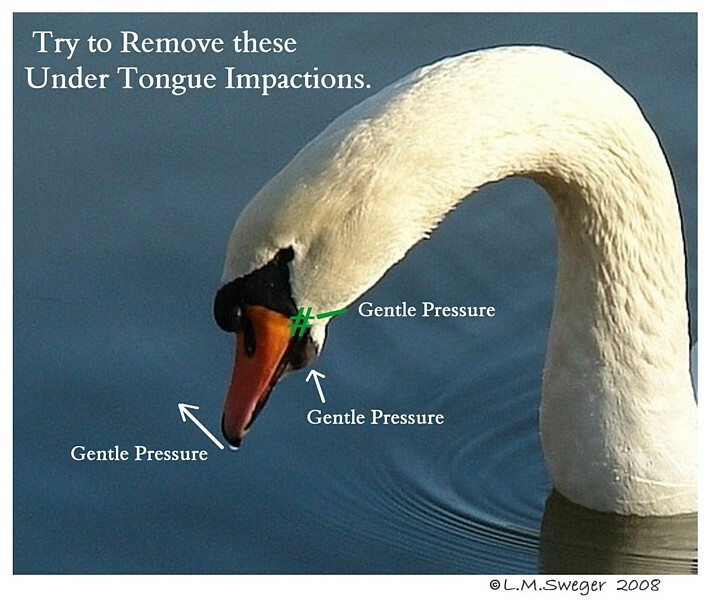 Swans have VERY Little Bite Pressure – Gently Open the Beak. 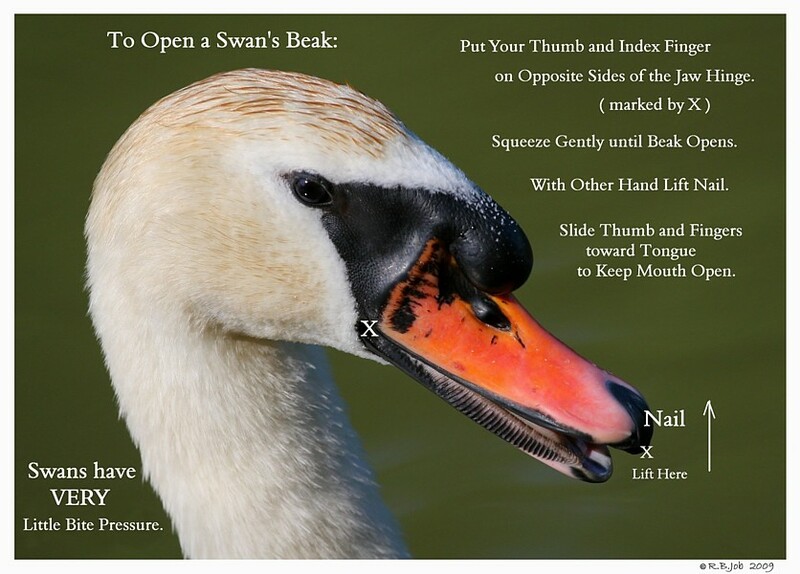 Either lift the Nail or Apply a Little Pressure to the both sides of the Jaw Hinge. 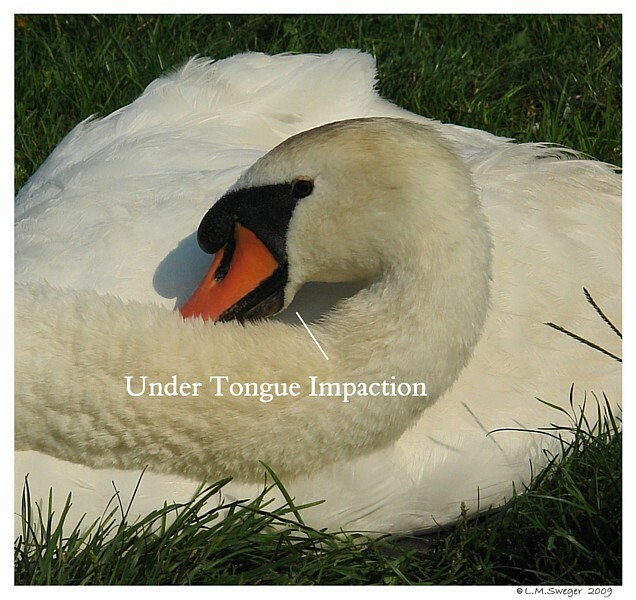 Gently PUSH UP under the Chin.. the Material from under the Tongue. 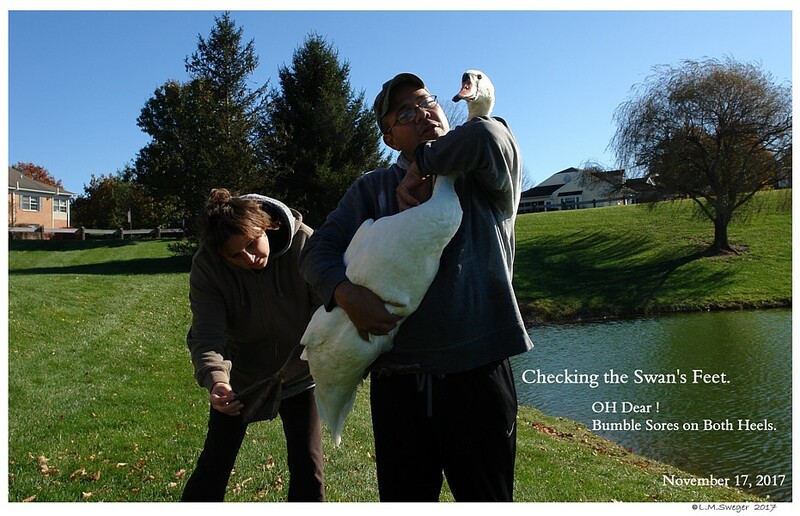 Sweep it out.. 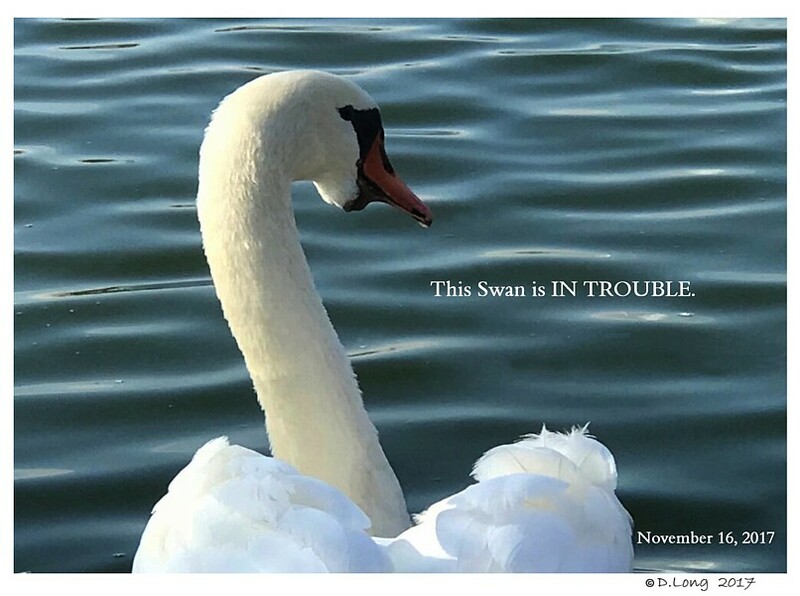 It is too Risky to use Metal Tweezers – the Swan will not hold Still. Check that there is nothing left under the Tongue. 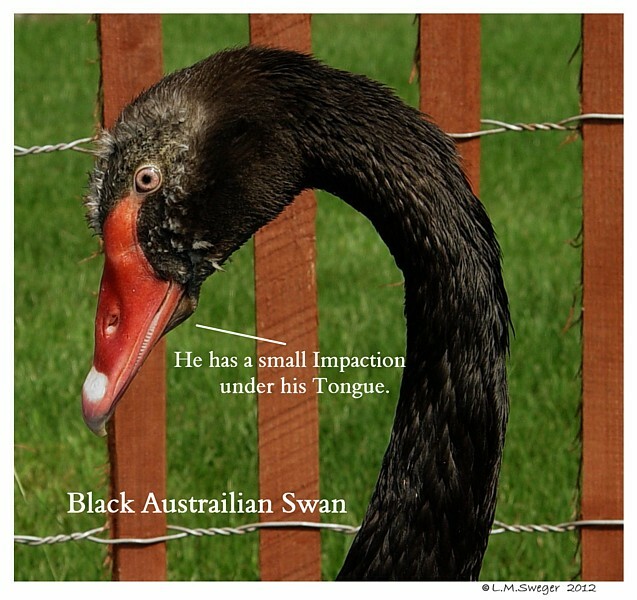 Check the Tongue’s Color.. 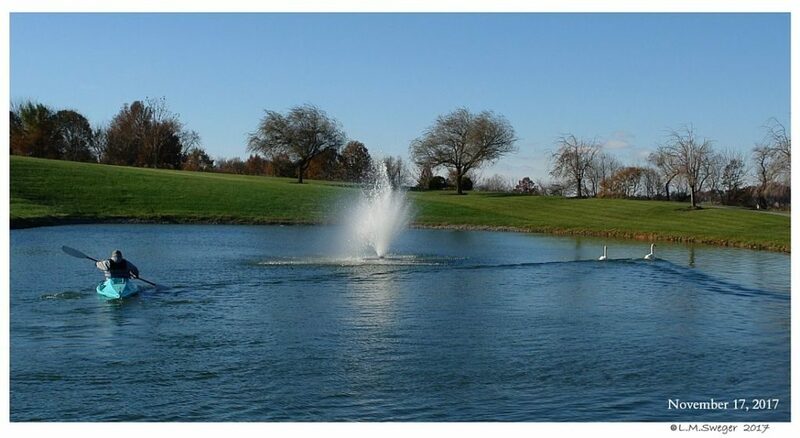 It should be a nice Baby Pink.. 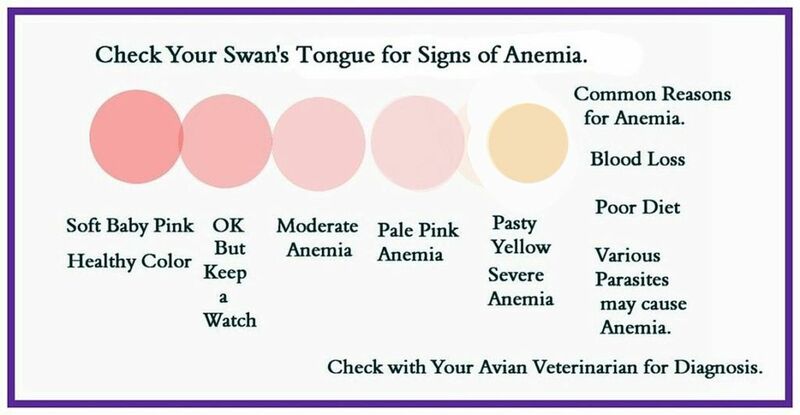 Check with your Avian Veterinarian for further Treatment Advice. 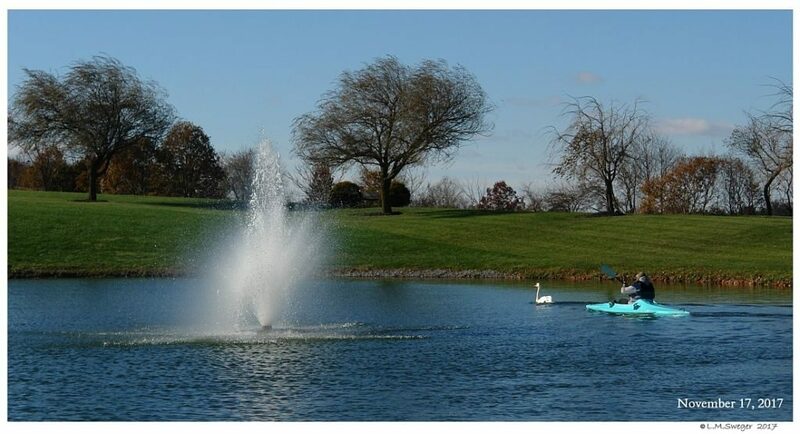 If you have a chance to keep the Swan from eating Short Cut Grass for a while after you remove a Plug.. this may give the stretched “Pouch” time to return to normal.. 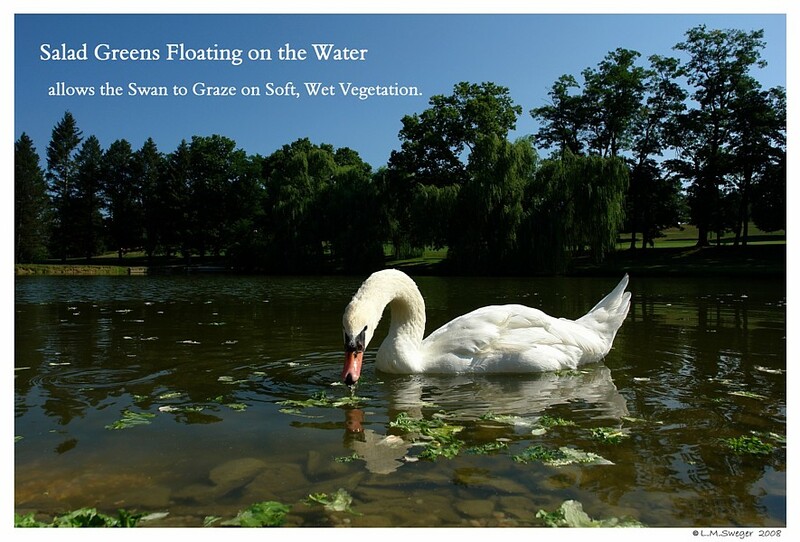 Giving Lots of Lettuce or Soft Vegetable Foods on the Pond Water may help reduce the Risk of Re-Impaction..
Swans enjoy grazing on Tender Grass Blades.. 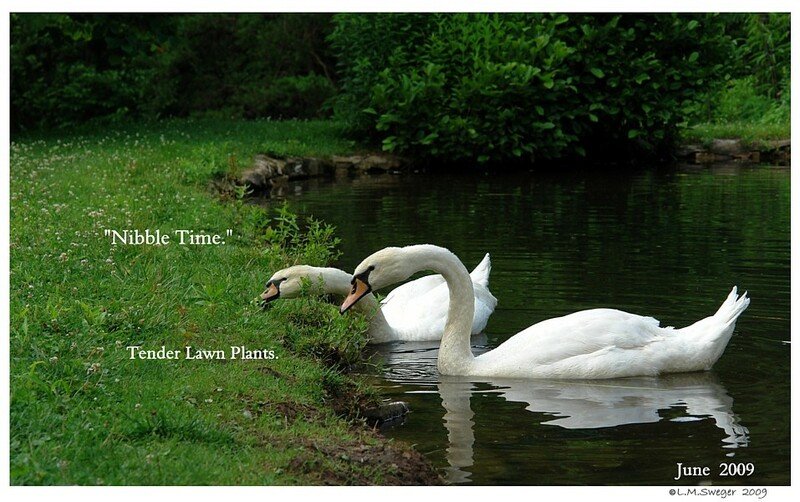 They need the Vegetation/Plant Material for their Digestive System..
Swans benefit from the Insects in Grassy Places. 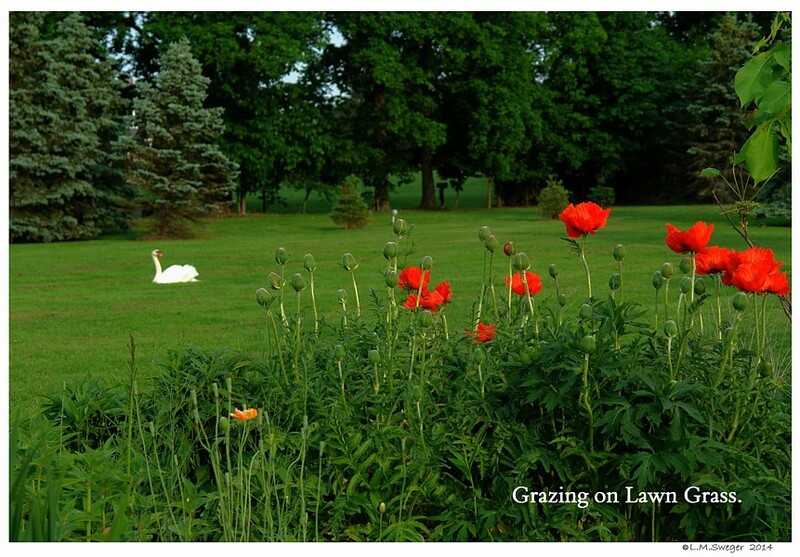 Consider Alternating the Grass Area you Cut into Three Parts. 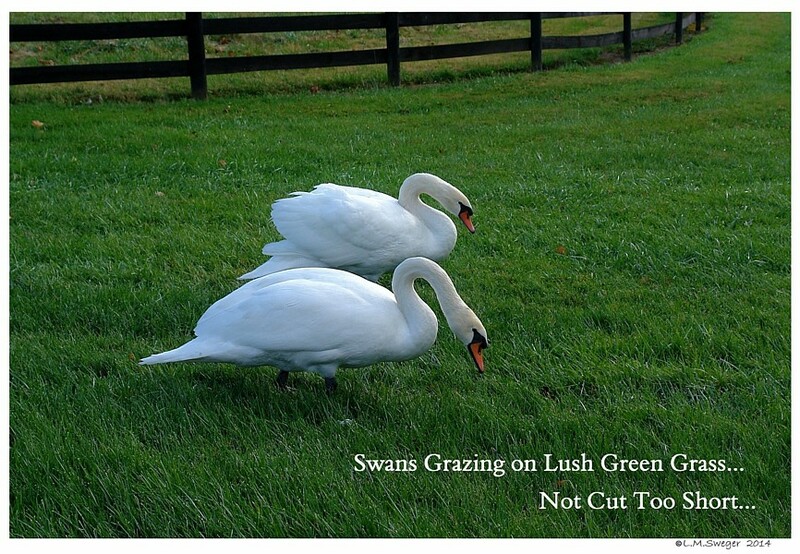 Cut One Area this Week.. leave the other Two Areas Grow..
Then Next Week Cut the longest, Shaggy Area.. leaving the Other Two..
Rotate so there are some Grassy Areas with Longer Tender New Growth..
We SEE more Swans with Under Tongue Impactions.. 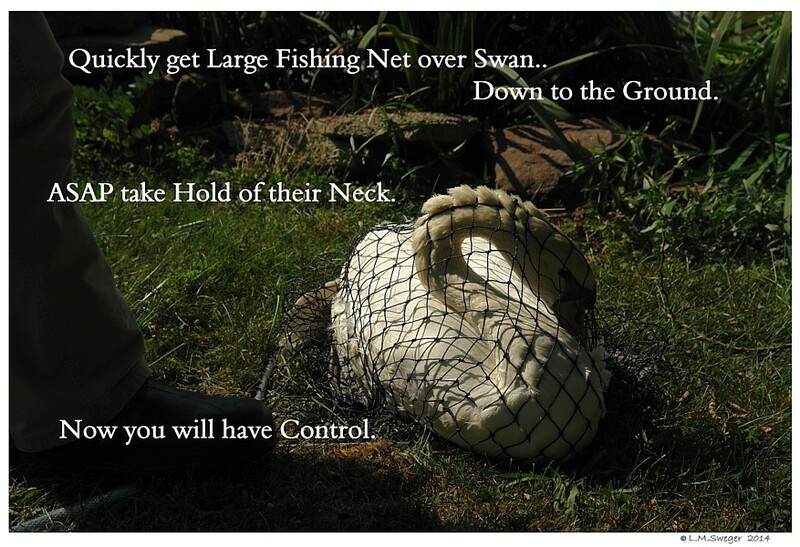 THIS is a VERY Common Problem with Captive Swans.. 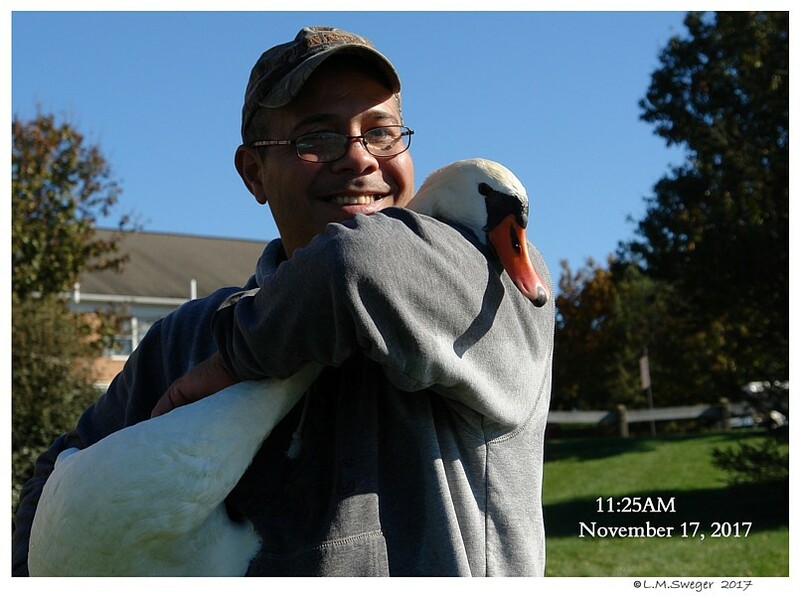 Many People who Care for Swans are UnAware.. 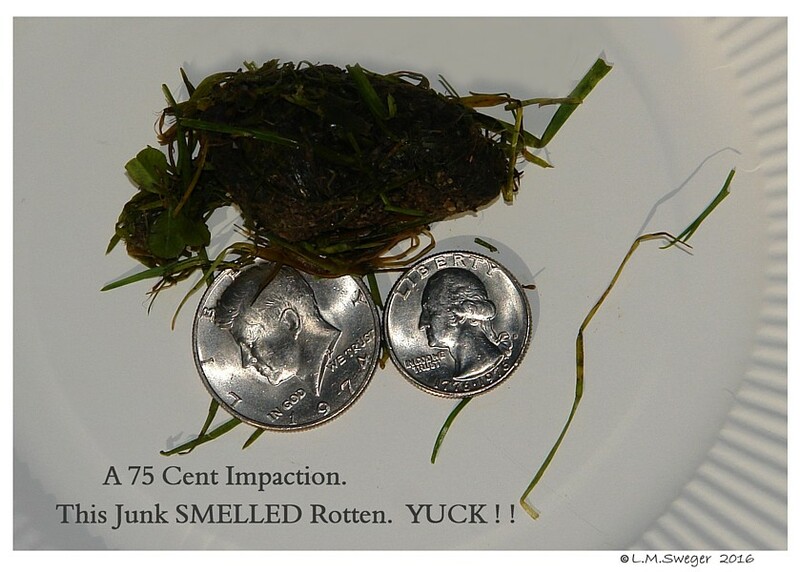 This Junk may collect in a matter of Weeks to Months. This is Fairly Easy to Correct. 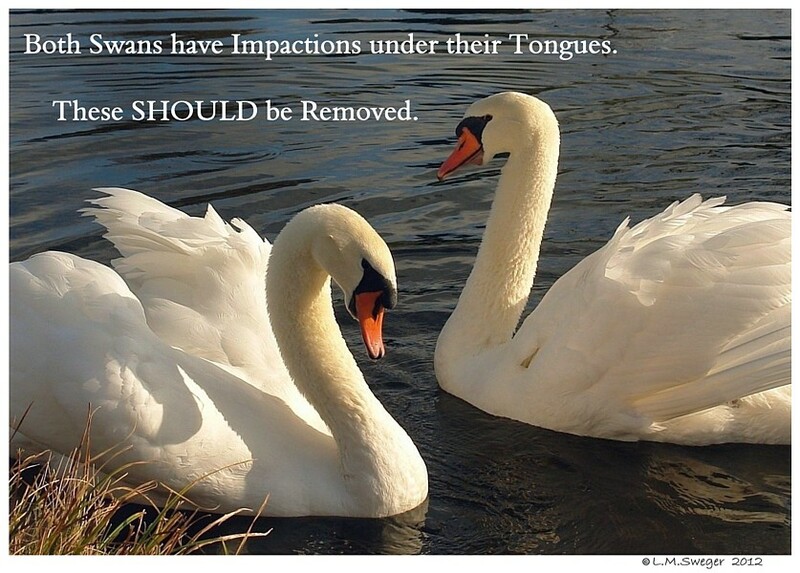 These Swans are Uncomfortable. 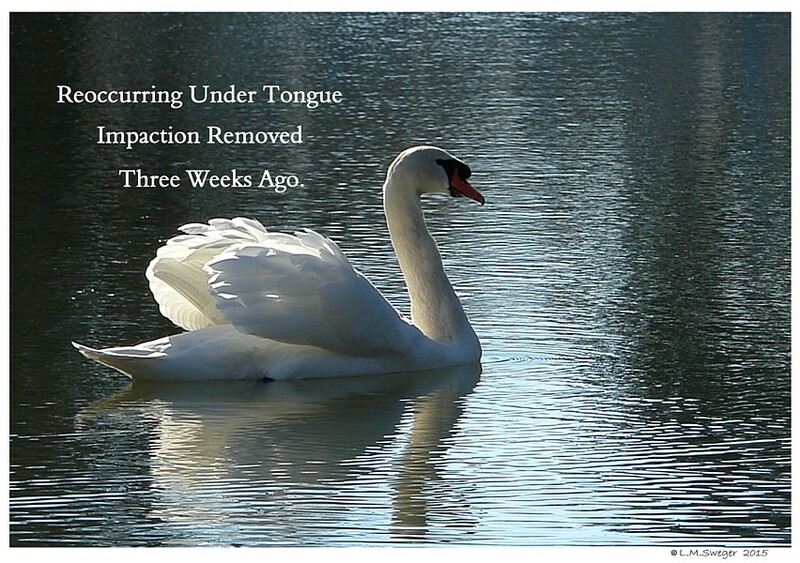 The Rotting Material under their Tongue makes Eating Difficult and Nasty.. 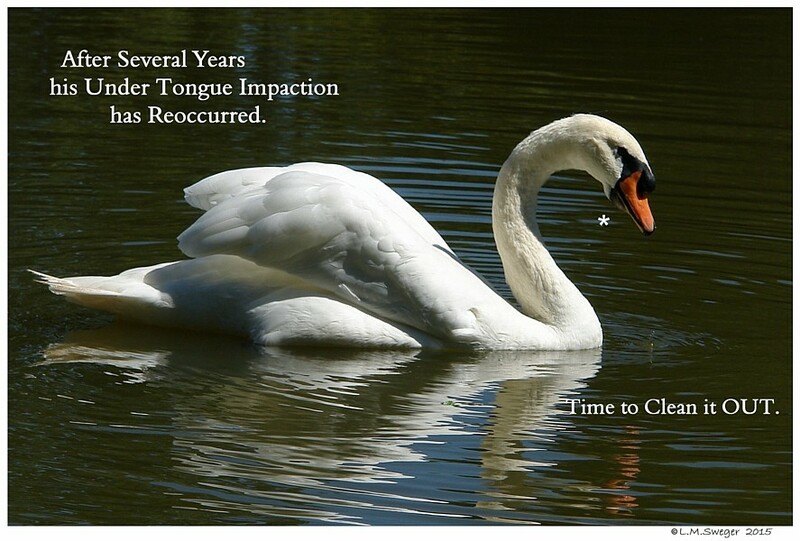 This can lead to Tissue Destruction under the Tongue. 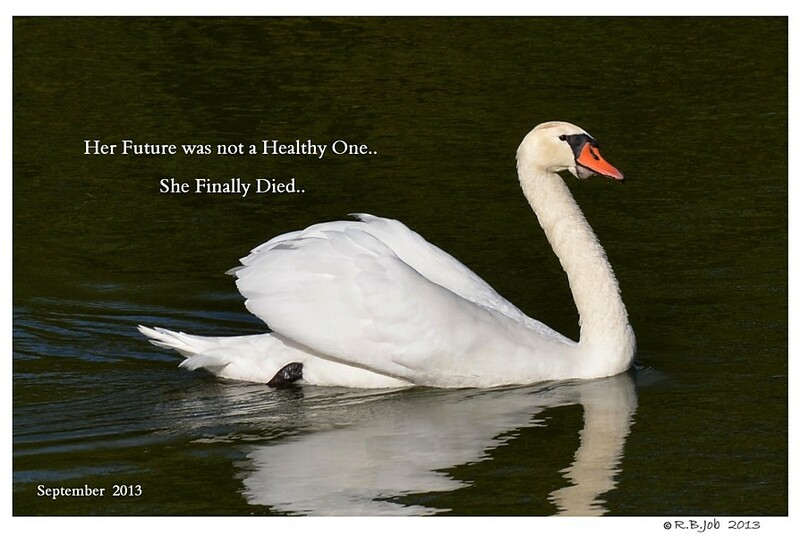 Infection, Wasting, Starvation to Death. 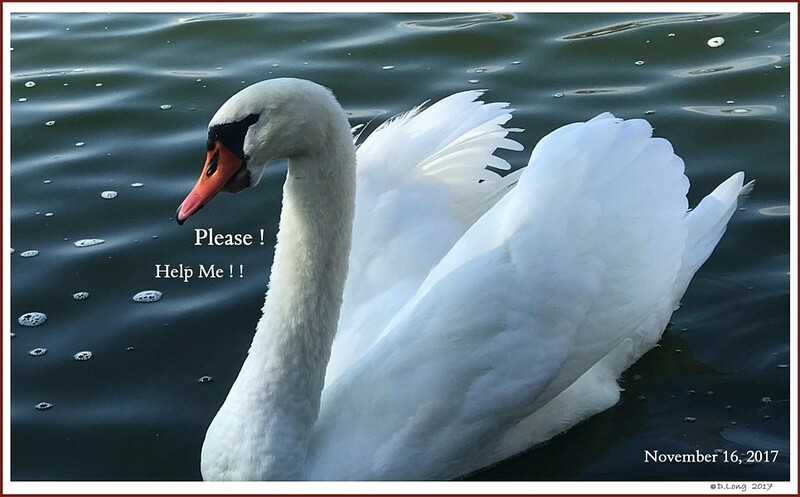 HELP Your Swans. 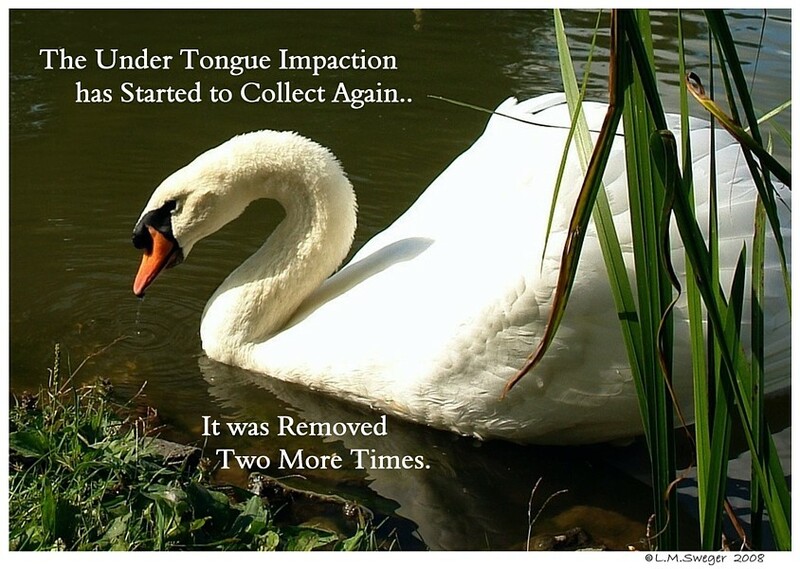 REMOVE SUBINGUAL – Under Tongue Impactions..
More Examples…. 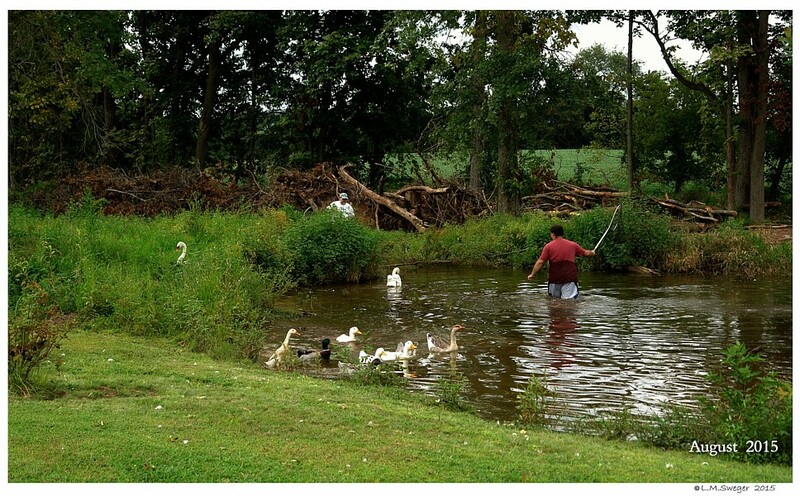 WE Helped Removed these…. 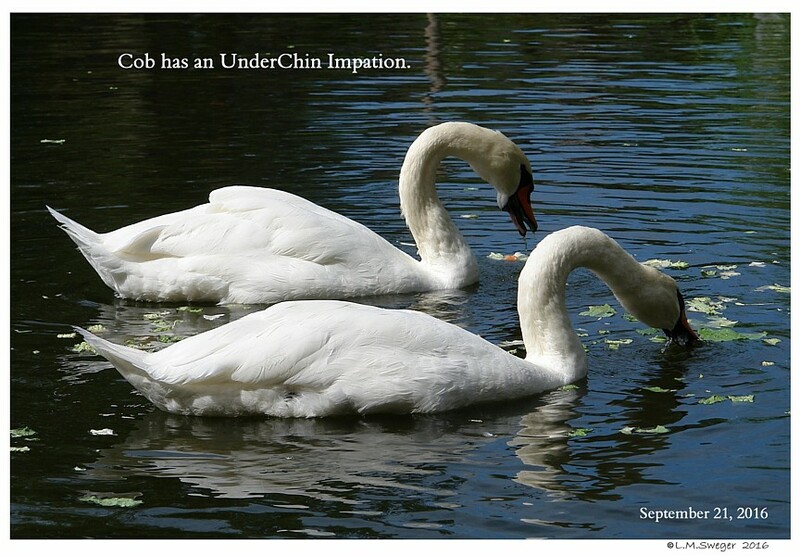 This Cob has had Impactions Removed Several Times. 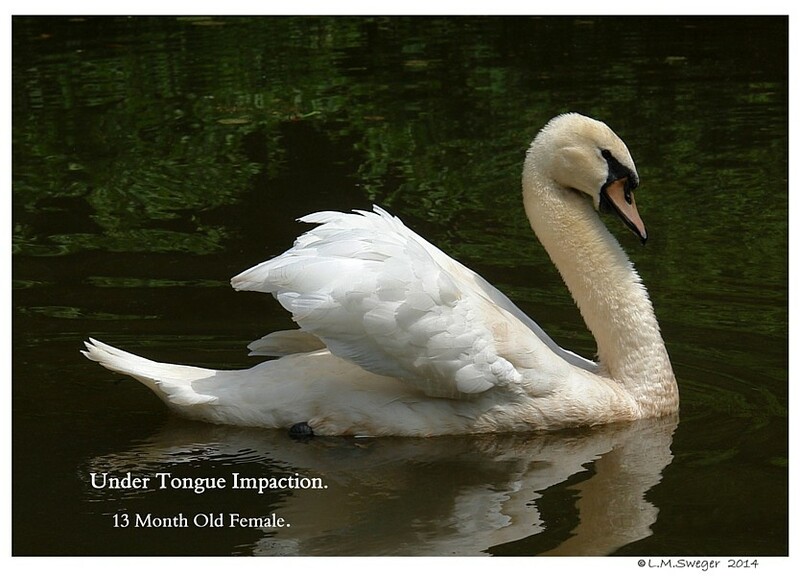 We Found this Young Female with a Large Impaction. 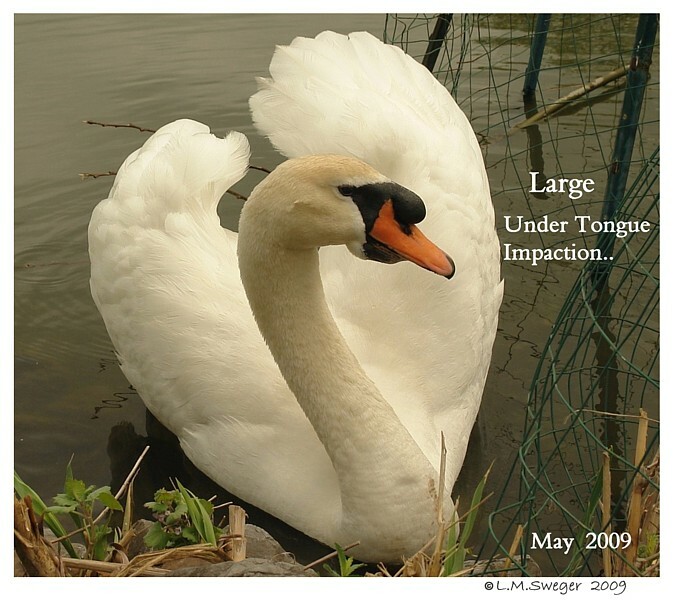 We Helped the Owner Remove this..
to Swallow with this LARGE Impaction. 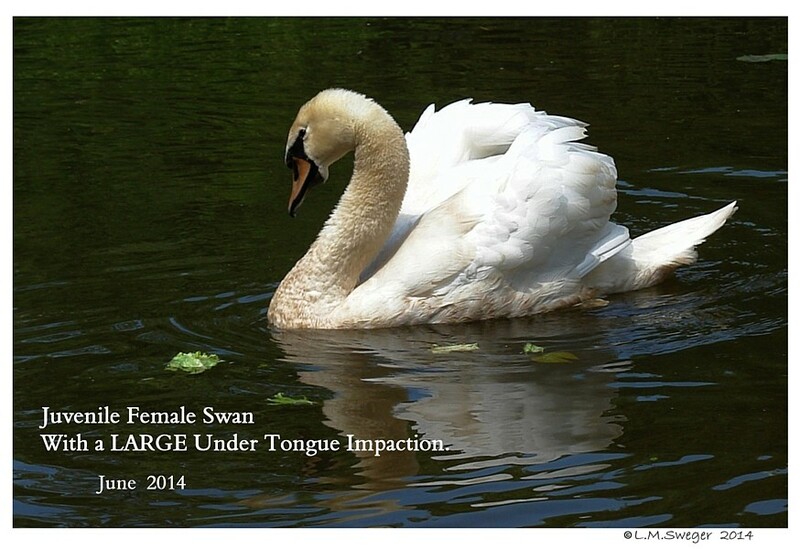 Another Swan with an Large Impaction under the Tongue. 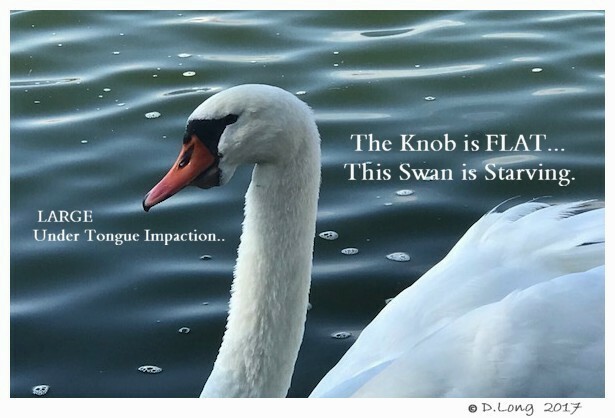 The Knob is VERY Flat.. 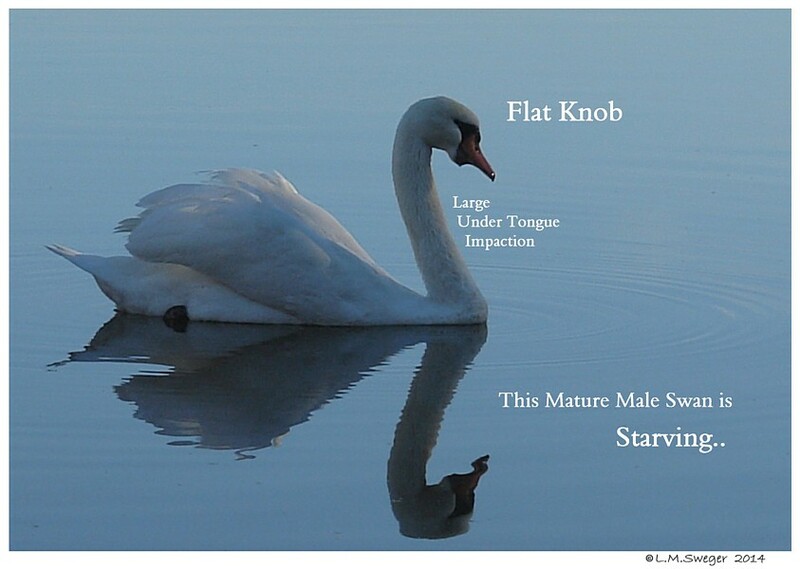 This Swan is Starving.. 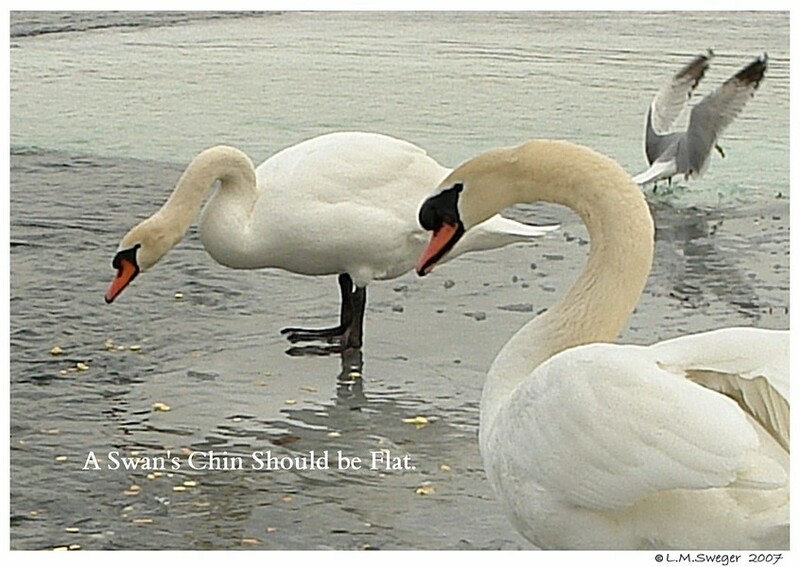 YOUR SWANS will be Healthier with a FLAT CHIN.. 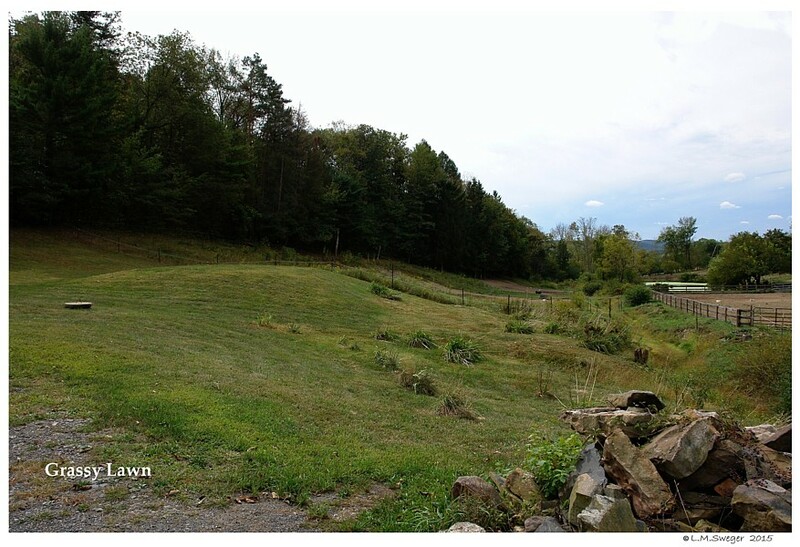 This is a Work in Progress… Updated along the Way..